Infertility affects tens of thousands of couples every year from all over the world. Research in the field of fertility and infertility is ongoing and constantly evolving. The latest information that researchers have discovered is that sperm are not the graceful creators some may have thought they were. According to an in-depth study out of the Universities of Warwick and Birmingham, sperm are some of the least graceful bodies on earth. The study was published in the Proceedings of the National Academy of Sciences of the United States. 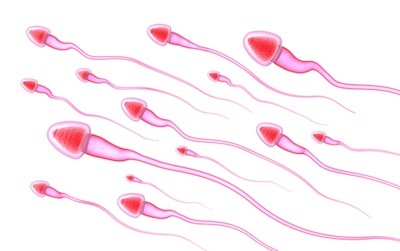 If you ask 100 people how the sperm reaches the egg for fertilization, chances are nearly 100-percent would tell you that they swim. Well, according to the research findings of Dr. Petr Denissenko and Dr. Jackson Kirkman-Brown, sperm don’t really swim at all. Sperm actually crawl along the walls and collide with each other before reaching the egg. Researchers are able to test sperm in micro-channels to see how well they would perform in the human body. Dr. Denissenko admits to laughing the first time he saw sperm trying to take sharp corners at high speeds and crashing into the wall. If researchers are able to test sperm in micro-channels before using sperm for infertility treatments, the number of successful treatments could rise significantly. Source: Petr Denissenko, Vasily Kantsler, David J. Smith, Jackson Kirkman-Brown. PNAS. 7 May, 2012.